Here's a basic guide to how deer respond to the heat, along with a broader look at weather patterns and deer behavior. The Three Little Pigs is an old English fairy tale about three pigs that build three houses of different materials. A big bad wolf blows down the first two pigs’ houses, made of straw and sticks, respectively, but is unable to destroy the third pig's house, made of bricks. The moral of the story is simple: Hope for the best, but prepare for the worst. So it is with preparing to hunt the 2018 rut. The past couple of years have been unseasonably warm during the traditional rut cycle. That’s made hunting more difficult for those deer hunters who were not ready, willing and able to adjust to the conditions at hand. Whitetail deer need to spend their time in cool, shady places when temperatures spike. That’s because they don’t sweat like we do. Instead, deer release excess body heat by breathing faster and opening their mouths to expel hot air captured in the blood. They overheat easily because their thick winter coats — the growth is activated by the photoperiod, not temperatures — are made for normal winter temperatures, not summer-esque heat. When it is hot, deer risk heatstroke if they don’t minimize their activity during the warmest period of a 24-hour day. A December 2017 rifle hunt in north Texas proved the point. The weather was ridiculously hot, and daytime deer movement squashed. I was able to take a nice mature 8-point buck right at first light by setting up three-quarters of a mile off a winter wheat field in a funnel that led to a thick stand of cedars where the deer like to bed. Only by having a quality Styrka binocular that sucked up a lot of light was I able to tell what he was. Then my EOTech Vudu 3-18x50 SFP riflescope allowed me to place the bullet at 200 yards. During hot weather, it’s important to keep your eye on the local weather report. Changes in atmospheric pressure often, but not always, predict the weather in coming days. Falling pressure suggests that a low-pressure zone with wet, stormy weather is moving your way. Rising barometric pressure is often, though not always, a sign that the weather is soon to clear and turn fair and sunny. Barometric pressure or atmospheric pressure is scientific jargon for the amount of air pressure exerted by air molecules against the earth’s surface. The baseline is approximately 14.7 pounds/ square inch of pressure at sea level. Research shows that any significant increase or decrease of this pressure affects animal behavior. So when the local weatherman talks about low-pressure systems or high-pressure systems, they’re simply talking about increased or decreased barometric pressure that comes with an approaching weather change. Here’s what they mean. When air molecules above the earth’s surface are not as compressed when compared to the baseline, the result is a decrease in barometric pressure. This is known as a low-pressure system, which often brings with it clouds, rain and/or snow. When this weather front moves through, there is an increase in air molecule compression. The result? A rise in barometric pressure. High-pressure systems are known for clear skies and increased winds. When a low-pressure system is approaching, the counterclockwise rotation of the system will result in cold air forming to the north and west of the front, while warm air is created to the south and east. This is why colder winds and temperatures can accompany a north or west wind. What’s This mean for the deer hunter? Deer. and all animals for that matter, are naturally in tune with changes in weather. Even more, they seem to have a sort of sixth sense that tells them when a big change is coming. Most formal and informal studies regarding barometric pressure show that whitetail deer become more active when the barometer is either rising or falling, but are most active when the barometer is rising. Translation: deer will become most active right after a big storm front passes through. They can also increase activity levels immediately before a big weather change hits. This is often true in winter, when deer intuitively know they need to ingest extra calories to help get them through the coming cold. A big swing in barometric pressure also often brings with it relatively significant changes in air temperature. This is critical during periods of warmer-than-normal weather patterns. If the weatherman tells me that there’s going to be a drop of 10 degrees or more, I know for sure that daylight deer activity is going to significantly increase. Deer hunters should expect another fall season of unseasonably warm weather, which can cause havoc on rut hunting. 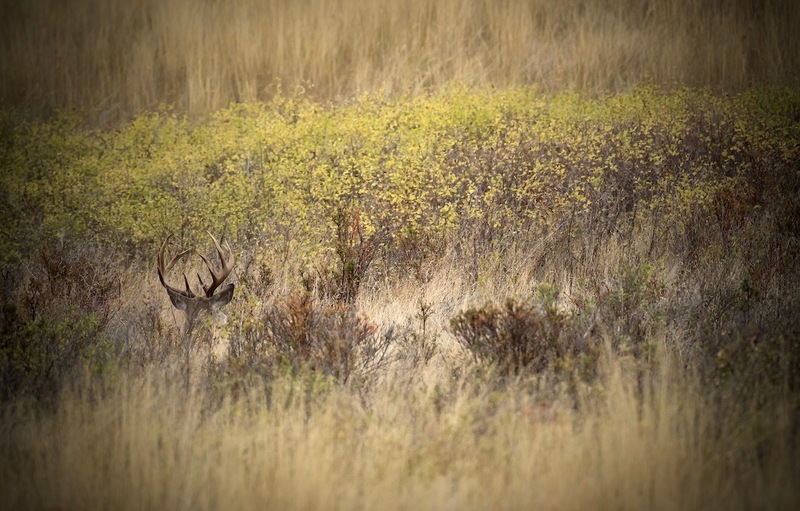 To get seven ways to hunt hot-weather deer, check this post out.